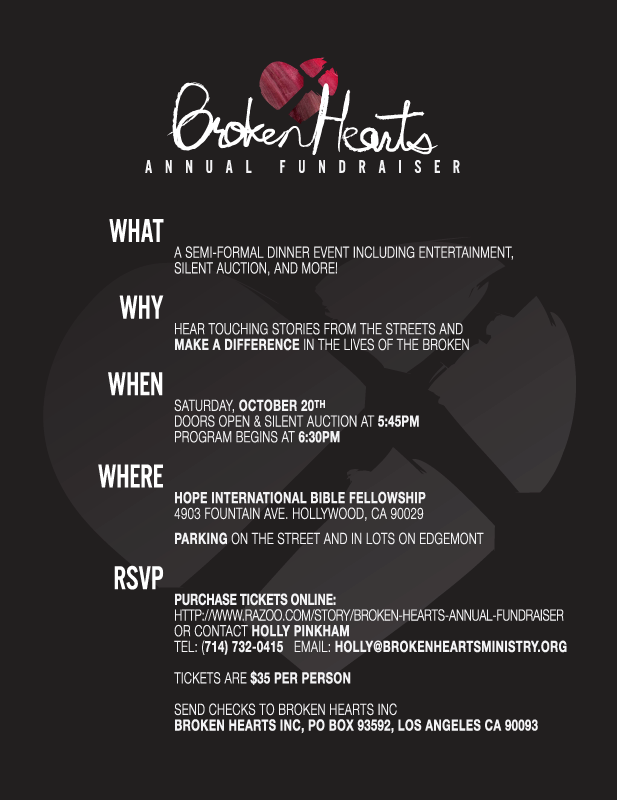 Join us to hear touching stories from the streets and and make a difference in the lives of the broken-hearted. Enjoy a silent auction, dinner & live entertainment! More info to come….